Standing Rock became real to me when I saw the video during a cabinet meeting last week. Thomas Lopez Jr., the cousin of one of our district superintendent’s daughter-in-law, was interviewed on November 26 at the Oceti Sakowin Camp in Standing Rock, North Dakota. Perez, along with thousands of others, has been protesting the 1,170 mile Dakota Access Pipeline, which stretches from Stanley, North Dakota, through South Dakota and Iowa, and ends at an oil tank farm near Patoka, Illinois. For months, leaders of the Standing Rock Sioux, over three hundred separate indigenous groups, environmentalists, and others from around the world have protested the pipeline, which proponents say will increase U.S. energy independence and provide jobs. 470,000 barrels of oil are expected to pass through the pipeline every day. 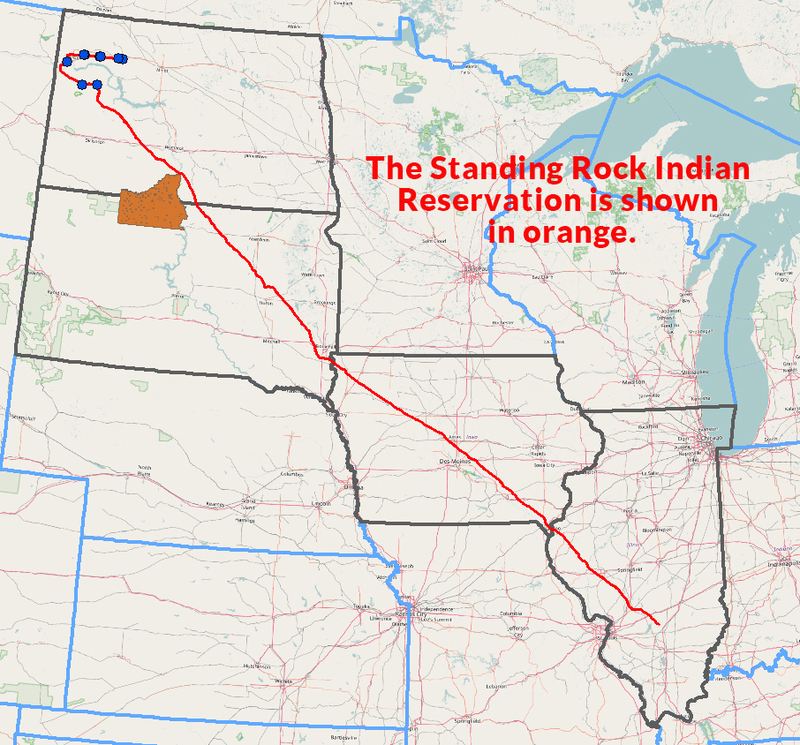 However, Standing Rock Sioux leaders claim the $3.7 billion pipeline crosses land sacred to the tribe, might harm burial grounds, and could pollute the Missouri River, threatening the safety of their only source of drinking water. Those occupying the Oceti Sakowin Camp, which is on federal land under the jurisdiction of the U.S. Army Corp of Engineers, have insisted that they are protectors, not protesters. They are protecting their water, and they are also protecting Mother Earth. They have vowed to stay put, for Mother Earth is sick and has a fever in North Dakota. Their strategy is prayer, music, dancing, and solidarity. 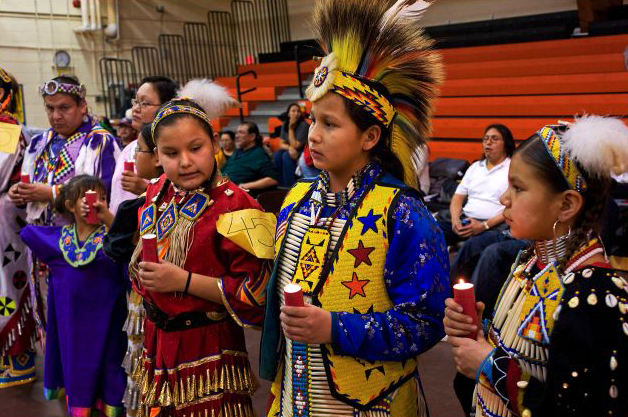 For United Methodists, the Standing Rock stand-off is reminiscent of our complicated relationship with the indigenous people of this country, particularly the Sand Creek Massacre, which occurred along the Big Sandy River of the Colorado Territory. Early on the morning of Nov. 29, 1864, Col. John Milton Chivington, who was a Methodist Episcopal Church pastor and member of the Union Army, led a surprise attack by 675 soldiers on a Cheyenne and Arapaho encampment. The ensuing slaughter resulted in the massacre of two hundred Native Americans, including women, children, and the elderly. Subsequent atrocities were committed on the dead. The tragic treatment of native people in the United States since its settlement/conquest by Europeans continues to haunt us. In an attempt to “Christianize” indigenous people, there was complete disregard for native languages, dress, culture, and religious practices, not to mention separation of children from parents, oppression, and seclusion of indigenous people on reservations. At both the 2012 and 2016 United Methodist General Conferences, delegates participated in acts of repentance for our gross mistreatment of our indigenous brothers and sisters. On the night of November 20, law enforcement officers and protectors clashed. Authorities used high pressure water cannons, concussion grenades, rubber bullets, and tear gas in sub-freezing temperatures against protectors who allegedly tried to push past a police barricade on a bridge. The U.S. Army Corps of Engineers and the North Dakota governor’s office declared that the protectors/protesters must evacuate the camp by today, December 5. In the meantime, several thousand U.S. military veterans mobilized in an effort to show solidarity by nonviolently protecting the camp from December 4-7. How might people of faith respond to Standing Rock? Standing Rock continues a long history in the US of the oppression of indigenous people by those of European descent. The “Doctrine of Discovery” promoted by Papal Bulls of the 15th century gave Christian explorers the right to seize any land not inhabited by Christians to be “discovered” and claimed on behalf of the king. This led to exploitation, enslavement, and genocide of native peoples. In light of this history, what are appropriate expressions of the love of Jesus at Standing Rock? 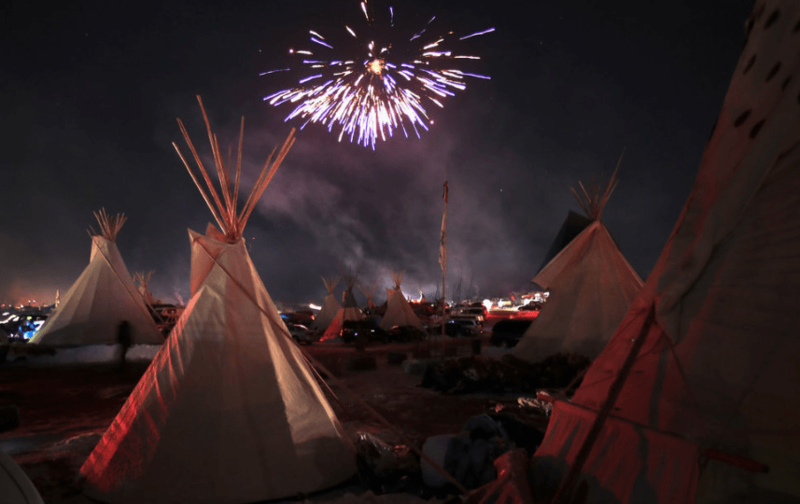 Standing Rock is a clash of cultures: a culture of using the earth’s resources to provide jobs and profits and a culture that has a deep connection with and recognizes the sacredness of Mother Earth. How can we understand and reconcile these cultures? What should the role of law enforcement be in this situation? How does the decision of the Department of the Army reflect justice for indigenous people? How important is it to wean ourselves from fossil fuels in order to preserve our earth? Sitting at the table together to discuss differences in a respectful way and truly seeking to understand rather than be understood is one of our growing edges in United Methodism. What does Standing Rock teach us as we face critical decisions in our denomination? Never doubt what a small group of committed people can do to change the world through peaceful means. God, during this season of Advent, when we anticipate your coming once more, empower us to work for the day when every person in this world can be proud of who they are, and for the day when we can all be proud of how we are caring for your world. Make us instruments of your peace. Thank you for this one Laurie! As someone with Cree Nation heritage, the conflict between protecting Mother Earth from the relentless drive of fossil fuel consumption crosses the heart in ways that are much deeper than it appears on the surface. I have noted that my sister, a vet from both the Army (enlisted) and the Air Force (Captain, ret. ), went to be part of the peaceful protest at Standing Rock this weekend with nearly 3000 other vets. I was proud of her for taking time from her job, paying her way out there, and taking a stand for what she felt in her heart so strongly. This is not just an issue for indigenous people. It is a something we all need to wrestle with. As Christians, we must consider how our continued dependence on fossil fuels affect our planet and our people. Are we being good stewards of the earth as God calls us to be? One further addendum, my sister (mentioned in the previous comment) has a Masters Degree in Military History. She wrote her graduate thesis on the Massacre at Sandy Creek. Truly a dark chapter in our history. Laurie, You always ask the pertinent questions. Those that cannot be brushed aside without losing our own humanity. We will have to be vigilant and informed as this plays out. My understanding is not only is this tar sand oil, but it won’t even be used in the United States. That doesn’t answer the consumption issue, but it certainly can’t be an economic plus. I’m not sure that an alternate route is the right answer either. What lies in that path? Do we exchange the safety of one source for the loss to another? In the past year we have had a chance to examine the values we hold as a nation. I’m pretty sure they are not what I thought and taught. Again this week Bishop Laurie, you give us food for our actions as Methodists and Christains. I am so inspired by the work God has sent you to do just in your blogs! Thanks Bishop Laurie for this prophetic word surrounded by soul probing questions with which we all need to wrestle. We appreciate your deep spiritual leadership.